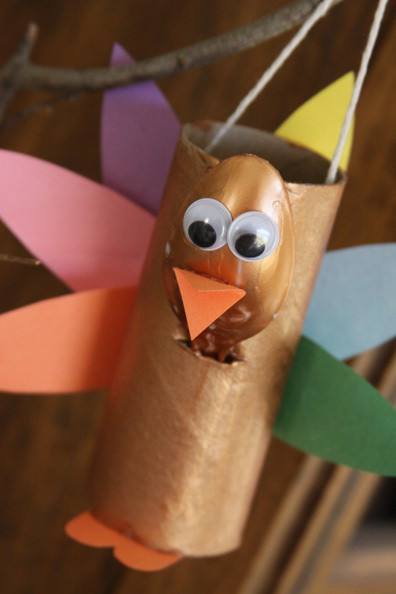 I love the idea of letting the kids help create things that will decorate our home for the Holidays. 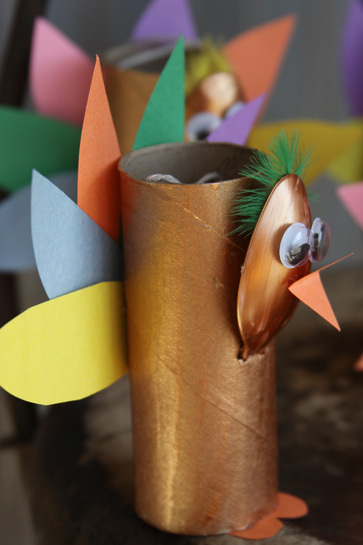 This Thanksgiving the kids and I have been geared up and created three great turkey crafts to help deck out our house for turkey day. Most of our Thanksgiving activities are centered around conversations about being thankful and counting our blessings. 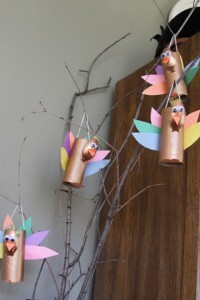 This particular project is more for the fun of adding some cute turkeys to our fall decor in our house. This simple kids craft is fun to make, keeps the kids busy, and allows them to help decorate for Thanksgiving! 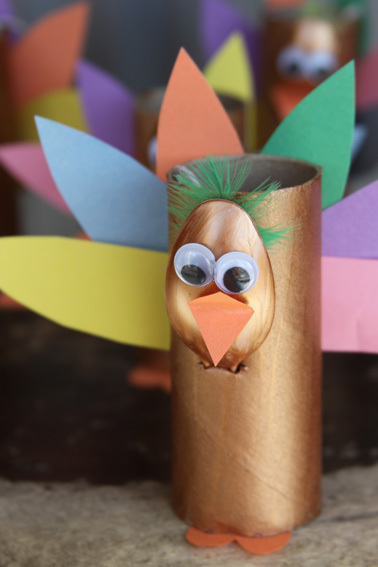 We are constantly trying to find new ways to keep busy at home, and the holidays lend a great reason to get crafty and create. These were very similar to the Frankenstein craft that we did this Halloween, and because it uses things that we already have in the house it is a great activity to do again and again. The idea to use spoons as the turkey’s heads came from the brilliant teachers at my daughter’s preschool! 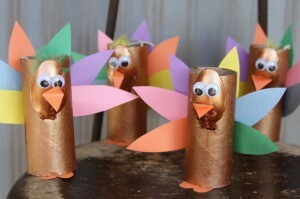 It is a great way to give the turkeys a 3-D effect and a ton of silly character too. Using toilet paper rolls and plastic spoons we were able to come up with some pretty cute little turkeys to hang on our thankful tree from last year. 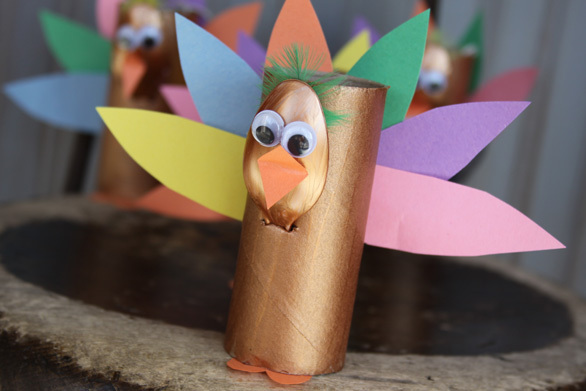 Along with our turkeys we will also be adding leaves like last year that have things written on them that we are thankful for. For now the branches are adorned with googly eyed turkeys with colorful tail feathers that were the perfect craft for the ids. We added some string to hang them, but these little guys stand up perfectly all on their own so the kids can put them anywhere in the house. For another great turkey craft check out my recent post on a Fun Idea For The Kid’s Thanksgiving Table.